Administration and Supervision, Higher Education, M.Ed., Ed.S. The major in Administration and Supervision includes a specialization in higher education, which is designed for graduate students from junior or community colleges and/or four-year institutions who are interested in pursuing study in the area of higher education. Faculty members in the Womack Educational Leadership Department work with students who choose to specialize in higher education to assure that they complete requirements including a foundations core, a specialized core, and elective hours in order to develop a specialized professional knowledge base and skills in the student’s chosen area. Upon enrollment in the Higher Education program, students will select either the research path or practicum path. Dr. Rodney D. Bennett, the tenth president of The University of Southern Mississippi, began his educational career at MTSU, earning his undergraduate degree in Mass Communication before pursuing graduate work in the Womack Educational Leadership Department in the 1990s. He holds both the M. Ed. and Ed. S. in Administration and Supervision. His professional career includes work in student affairs at MTSU and at Winthrop University in Rock Hill, S.C. Prior to accepting the post at Southern Miss, Bennett was vice president for student affairs at the University of Georgia. According to news coverage, Ed Blakeslee, president of the college board that oversaw Bennett’s selection at Southern Miss, said that his leadership ability, qualifications, and experience in money management attracted the selection committee. Blakeslee concluded with “He is a man of integrity.” Bennett serves as both chief executive officer and principal educational officer at The University of Southern Mississippi. Matthew Hibdon started work on the Masters of Education in Administration and Supervision of Higher Education within the Womack Educational Leadership Department in 2012. He had experience working in five different campus offices during his undergraduate career, and being in the M.Ed. program allowed him the opportunity to gain experience within three new offices, including the College of Education. He served as a graduate assistant during his time in the program, assisting the coordinator of the departmental off-campus graduate programs. Hibdon was very successful in his graduate work and developed a thorough understanding of the units and operations of the University. 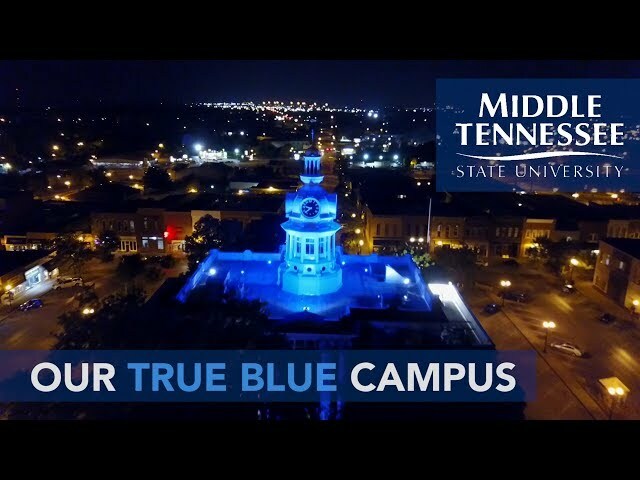 As a result, upon graduation he was employed by MTSU as an academic advisor. He currently serves in that role in the College of Liberal Arts. The Womack Educational Leadership Department offers both the Master of Education (M.Ed.) and Specialist in Education (Ed.S.) with a major in Administration and Supervision. The specialization in Higher Education can lead to either an Ed.S. or M.Ed. Students choose either a research or practicum path. The Womack Educational Leadership Department offers a major in Curriculum and Instruction leading to the Specialist in Education degree (Ed.S.) with a specialization in Culture, Cognition, and the Learning Process. Also available are both on- and off-campus cohorts. A Master of Education (M.Ed.) with a major in Curriculum and Instruction is offered; also available is a concentration in English as a Second Language. Administration and Supervision, Higher Education Specialization, M.Ed. The M.Ed. in Administration and Supervision offers concentrations in Library Science and Agricultural Education Leadership as well as specializations in K-12 public school, higher education, and a nonlicensure program. teacher licensure—the licensure requirements will be waived for the higher education specialization and under other special circumstances. successfully complete a written comprehensive examination during the semester of graduation (exam may be retaken once). Qualitative and quantitative research applicable to the field of education. Both producers and consumers of educational research with a literature review presented to support possible solutions to significant hypotheses or problems. Roles, responsibilities understandings, and behavior patterns in effective administrative and supervisory personnel. Developing sensitivity to individuals, the nature and structures of groups, and the problems of communication within and among groups and individuals. The changing nature of the college student with emphasis on institutional efforts to provide for the development of the student. Complexity of the structure of higher education (national, regional, state, and local) and how it is organized. Attention given to the interrelationships of the institution and its internal and external constituencies. Offers preparation for incorporating microcomputer technology into the school work-place. Student designs a model school administrative unit by applying the microcomputer skills and understanding acquired. The legal framework as it pertains to higher education and its operations. Special attention given to rights of students as well as professors. Law cases, constitutional provisions, attorney general's opinions, rules and regulations of the Tennessee Board of Regents, Tennessee Board of Trustees, and the Tennessee Higher Education Commission studied and discussed. Administration and Supervision, Higher Education Specialization, Ed.S. The Ed.S. in Administration and Supervision offers specializations in higher education and instructional leader licensure (K-12 administrator license). successfully complete a written comprehensive examination or oral presentation of research project during the semester of graduation (exam may be retaken once). An exploration of the relevant new developments in the field of educational administration, including recent concepts and research. Provides direct field experience in appropriate areas of education in collaboration with the University, the school mentor, and the student.